These are Not Cicada Insects! I made this page for two reasons: 1) to point out insects and other animals that people commonly confuse with cicadas, and 2) list people, places and things named "cicada" that clearly are not cicadas. By the way, if you’re looking for places to Identify insects that are not cicadas, try Bug Guide and What’s that Bug. Are cicadas locusts? No, but people call them locusts, and have since the 1600’s. Grasshoppers, Crickets and Katydids are often confused with cicadas because they are relatively large, singing insects. There are many differences between cicadas and Orthopterans, but the easiest way to tell them apart is Orthopterans have huge hind legs. The Songs of Insects has song samples of grasshoppers, katydids, crickets and cicadas — listen and compare. Learn more about insects belonging to the Order Orthoptera. True locusts are grasshoppers and definitely not cicadas. People call periodical Magicicada cicadas "locusts" because they emerge in massive numbers like true locusts. 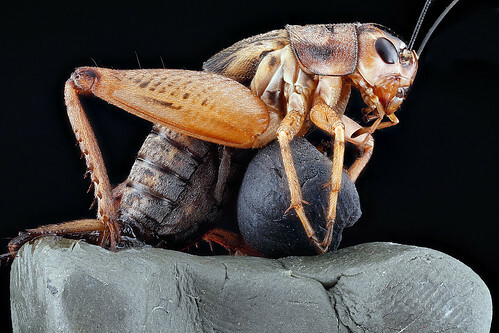 Unlike true locusts — which will chew, eat and destroy virtually all vegetation they come across — most cicadas only cause damage to weaker tree branches when they lay their eggs. When true locusts come to town, your family might starve and die (because the locusts ate all your food). When cicadas come to town, your maple tree gets a few branches of brown leaves. Big difference. 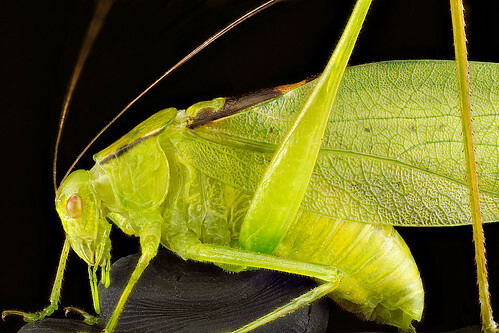 Katydids get confused with cicadas for both the way they look and for the sounds they make. Some key differences: katydids usually have wings that look like green leaves, long antennae, and large hind legs for jumping. Most of the time you year an insect at night, it’s either a cricket or katydid. 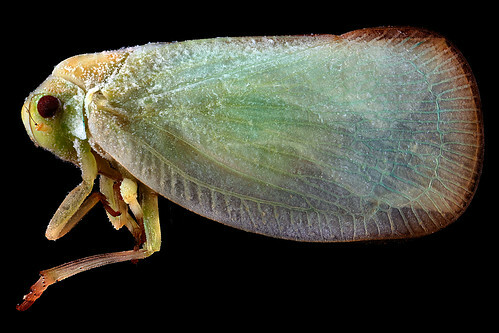 Crickets don’t look like cicadas, but they do make sounds. Most of the time you year an insect at night, it’s either a cricket or katydid. Sphinx Moths are confused for cicadas because, at a glance, they have a similar shape. Learn more about Sphinx moths. Planthoppers (Infraorder Fulgoromorpha), Froghoppers (Infraorder Cicadomorpha > Superfamily Cercopoidea), and Cicadelloidea (Infraorder Cicadomorpha > Superfamily Membracoidea ) are often mistaken for cicadas (Infraorder Cicadomorpha > Superfamily Cicadoidea) because they share the same Kingdom, Phylum, Class, Order and Suborder — and they look a lot alike. The big difference is cicadas sing, while other members of Auchenorrhyncha do not sing. Photos by USGS Bee Inventory and Monitoring Laboratory. Learn more about the other members of the Suborder Auchenorrhyncha. NO, cicadas are not June Bugs. Many people confuse June Bug larvae for cicada larvae. Maybe. Just about every insect goes through a larval phase, and they pretty much all look alike to the novice. Unlike beetle larvae, cicada larvae or nymphs are not long-bodied like grubs. Long larvae = beetle larvae. 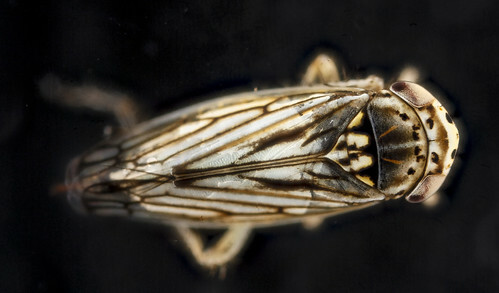 Frog calls are often mistaken for cicada song, particularly at night. Bird calls can be mistaken for cicada song. Some birds that can mimic sounds, such as Lyrebirds, Mockingbirds, and Psittaciformes (Parrots) could conceivably mimic cicada sounds. No one would confuse a horse with a cicada (visually and audibly speaking), but there was a famous horse named cicada. These are people (in the form of Bands), places and things named cicada. They often show up on Flickr, Twitter, eBay or Amazon, when I’m searching for cicada insects. It is awesome that people name stuff after cicadas (but it can be annoying when you’re searching for cicada insects, and other stuff shows up). There are many albums named Cicada as well, such as Cicada by Cat Scientist. That one comes up a lot in ebay. These places show up on twitter, and when I search for cicada photos on Flickr. Maxwell DeMille’s Cicada Club is a vintage-style night club in Los Angeles, California. Cicada Market is a popular market in Hua Hin, Thailand. The Golden Cicada Tavern in Jersey City, NJ. Rancho Cicada is a ranch / retreat in Plymouth CA. Here’s a list of other things that often show up in eBay, Twitter and Amazon. BattleTech BattleMech Cicada is a toy. Cicada is a company that makes dental equipment. Cicada Magazine is a magazine for children. The Cicada is a multi tool. PageFlip Cicada is a wireless Bluetooth pedal designed to meet the needs of musicians and people with disabilities who struggle with the challenge and inconvenience of page turning. Comments Off on These are Not Cicada Insects!